Zerocalcare is a typeface family created for the branding of Lucca Comics & Games Festival 2016. 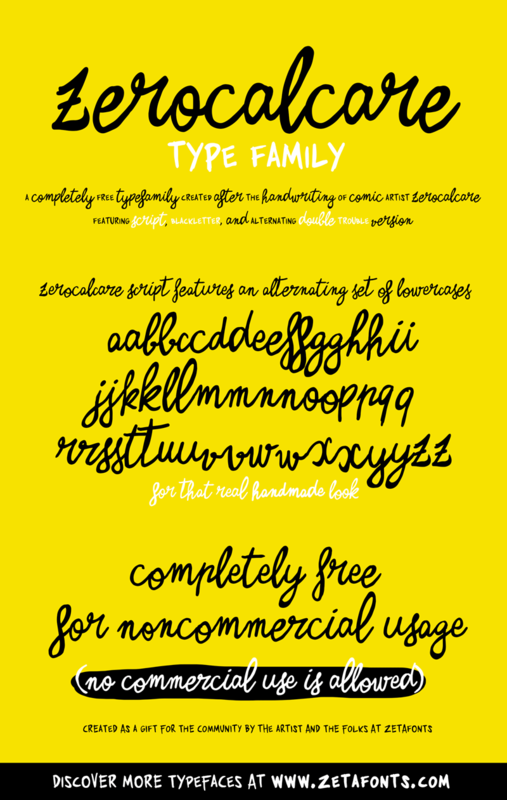 It's based on the digitised handwriting of italian comic artist Zerocalcare, and it uses open type substitutions to mimick the flow of real handwriting. The family has been released under creative commons attribution NONCOMMERCIAL license and it is free for use for any personal, noncommercial project. Commercial usage is forbidden.